October, 2013 – As a feminist, I’ve always assumed that by fighting to emancipate women I was building a better world – more egalitarian, just and free. But lately I’ve begun to worry that ideals pioneered by feminists are serving quite different ends. I worry, specifically, that our critique of sexism is now supplying the justification for new forms of inequality and exploitation. In a cruel twist of fate, I fear that the movement for women’s liberation has become entangled in a dangerous liaison with neoliberal efforts to build a free-market society. That would explain how it came to pass that feminist ideas that once formed part of a radical worldview are increasingly expressed in individualist terms. Where feminists once criticised a society that promoted careerism, they now advise women to “lean in”. A movement that once prioritised social solidarity now celebrates female entrepreneurs. A perspective that once valorised “care” and interdependence now encourages individual advancement and meritocracy. What lies behind this shift is a sea-change in the character of capitalism. The state-managed capitalism of the postwar era has given way to a new form of capitalism – “disorganised”, globalising, neoliberal. Second-wave feminism emerged as a critique of the first but has become the handmaiden of the second. With the benefit of hindsight, we can now see that the movement for women’s liberation pointed simultaneously to two different possible futures. In a first scenario, it prefigured a world in which gender emancipation went hand in hand with participatory democracy and social solidarity; in a second, it promised a new form of liberalism, able to grant women as well as men the goods of individual autonomy, increased choice, and meritocratic advancement. Second-wave feminism was in this sense ambivalent. Compatible with either of two different visions of society, it was susceptible to two different historical elaborations. As I see it, feminism’s ambivalence has been resolved in recent years in favour of the second, liberal-individualist scenario – but not because we were passive victims of neoliberal seductions. On the contrary, we ourselves contributed three important ideas to this development. One contribution was our critique of the “family wage”: the ideal of a male breadwinner-female homemaker family that was central to state-organised capitalism. Feminist criticism of that ideal now serves to legitimate “flexible capitalism”. After all, this form of capitalism relies heavily on women’s waged labour, especially low-waged work in service and manufacturing, performed not only by young single women but also by married women and women with children; not by only racialised women, but by women of virtually all nationalities and ethnicities. As women have poured into labour markets around the globe, state-organised capitalism’s ideal of the family wage is being replaced by the newer, more modern norm – apparently sanctioned by feminism – of the two-earner family. Never mind that the reality that underlies the new ideal is depressed wage levels, decreased job security, declining living standards, a steep rise in the number of hours worked for wages per household, exacerbation of the double shift – now often a triple or quadruple shift – and a rise in poverty, increasingly concentrated in female-headed households. Neoliberalism turns a sow’s ear into a silk purse by elaborating a narrative of female empowerment. Invoking the feminist critique of the family wage to justify exploitation, it harnesses the dream of women’s emancipation to the engine of capital accumulation. Feminism has also made a second contribution to the neoliberal ethos. In the era of state-organised capitalism, we rightly criticised a constricted political vision that was so intently focused on class inequality that it could not see such “non-economic” injustices as domestic violence, sexual assault and reproductive oppression. Rejecting “economism” and politicising “the personal”, feminists broadened the political agenda to challenge status hierarchies premised on cultural constructions of gender difference. The result should have been to expand the struggle for justice to encompass both culture and economics. But the actual result was a one-sided focus on “gender identity” at the expense of bread and butter issues. Worse still, the feminist turn to identity politics dovetailed all too neatly with a rising neoliberalism that wanted nothing more than to repress all memory of social equality. In effect, we absolutised the critique of cultural sexism at precisely the moment when circumstances required redoubled attention to the critique of political economy. Finally, feminism contributed a third idea to neoliberalism: the critique of welfare-state paternalism. Undeniably progressive in the era of state-organised capitalism, that critique has since converged with neoliberalism’s war on “the nanny state” and its more recent cynical embrace of NGOs. A telling example is “microcredit”, the programme of small bank loans to poor women in the global south. Cast as an empowering, bottom-up alternative to the top-down, bureaucratic red tape of state projects, microcredit is touted as the feminist antidote for women’s poverty and subjection. What has been missed, however, is a disturbing coincidence: microcredit has burgeoned just as states have abandoned macro-structural efforts to fight poverty, efforts that small-scale lending cannot possibly replace. In this case too, then, a feminist idea has been recuperated by neoliberalism. A perspective aimed originally at democratising state power in order to empower citizens is now used to legitimise marketisation and state retrenchment. In all these cases, feminism’s ambivalence has been resolved in favour of (neo)liberal individualism. But the other, solidaristic scenario may still be alive. The current crisis affords the chance to pick up its thread once more, reconnecting the dream of women’s liberation with the vision of a solidary society. To that end, feminists need to break off our dangerous liaison with neoliberalism and reclaim our three “contributions” for our own ends. Review of The Desire for Mutual Recognition: Social Movements and the Dissolution of the False Self, by Peter Gabel, Routledge. Peter Gabel’s new book, The Desire for Mutual Recognition: Social Movements and the Dissolution of the False Self, is at once a startlingly new and groundbreaking contribution to critical social theory, and a call to action for all who desire to be a part of transformative movement beyond a current world of alienated fearfulness, oppression, economic and spiritual deprivation, misogyny, racism and xenophobia. His book provides a refreshing perspective, and one necessary, in my opinion, to save a young progressive movement from the one dimensional thought which has characterized both the old and new left, and all revolutionary movements before and after. At a time when thousands of young people are exploring notions of “socialism” (Democratic Socialists of America, DSA, now reports its membership at upwards of 50,000), when the bastions of patriarchy are being rattled by the voices of #MeToo , this book offers an opportunity for these movements to avoid the flaws and failures of previous movements for change. Gabel’s precursors may be the cultural Marxist critical theorists of the Frankfort School of Social Research in 1920’s Germany, most notably Herbert Marcuse, who became somewhat of a cultural guru for the New Left of the 1960’s, as well as the Italian Marxist Antonio Gramsci, and others (Georg Lukacs, Wilhelm Reich) And while Gabel also draws from Marx and Freud (among others) he pushes beyond the limits of all of them, to show how and why each of us has both a “false self” created by the fear of the humiliation of rejection by others, and an authentic self which yearns for expression and which emerges when we can mutually recognize each other and let ourselves be truly known. Gabel’s essential thesis is that our basic drive as human beings is our longing for mutual recognition of our authentic selves, and towards a loving connectedness with one another. The fear of the rejection of that longing (fear of “ontologic humiliation”) leads us to the creation of “false selves,” behind which our innermost desires are hidden and suppressed. 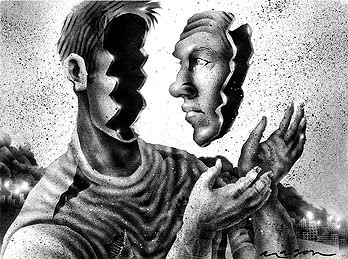 Gabel’s discussion of the creation and maintenance of the false self is reminiscent of Gramsci’s notion of “cultural hegemony” and can be understood as a deepening exploration of how hegemony functions to maintain dominant authority. But Gramsci understood that people can be capable of creating “counter-hegemony” or a “contradictory consciousness” in a movement for self-transformation. Thus Gabel, like Gramsci, presents us with a profound and contemporary dialectic notion of “being” in that he sees people as agents of their own self-transformation even while inhabiting their false selves. The push toward authenticity, despite the power of the false self and despite fears of rejection, cannot be completely suppressed—it manifests itself, it expresses itself when we feel safe, loved…and when we are in the midst of social movement. For anyone who has been a part of a social movement, the antiwar movement, the labor movement, the civil rights movement, the women’s movement, the movement for LGBTQ liberation—all movements which challenge the apparent hegemonic definition of reality–that feeling of being connected with others, of feeling that one’s being was meaningful and purposeful and appreciated is something that will never be forgotten. Gabel refers to this feeling as “the ricochet of mutual recognition.” He gives the example of Rosa Park’s action and the resulting Montgomery bus boycott— how her action became meaningful because of all the precedent small acts of civil disobedience, the culture and songs of the civil rights movement. Her action “had opened up a new possible space, as yet not fully revealed before Park’s action…the notion that “the colored section” might not be a fact, and by extension, that all such racial segregation might not also be “the way things are.” A new perceptual universe is opened. Gabel states that his theory calls for a “spiritualized politics”, with an analysis that does not deny the importance of economics, but does not restrict itself to economics. The desire for mutual recognition, for that “vibrant life force that unites us,’ requires that we push beyond the limits of an economic transformation of society to allow a “psychospiritual strategy that elicits from each of us the capacity to sustain mutual recognition.” And this is where Gabel moves beyond Marcuse, Gramsci, and yes, Marx too, in that his critical theory is not for the use of leaders, or a vanguard, to reach and mobilize or educate a mass movement—rather, this critical theory is for the leaders themselves as well as those who make up the rank and file of a movement—it is for all of us to confront our fear-dominated heritage, in order to create what Gabel calls a “spiritually redemptive socialism.” If we do not attend to this psychosocial and spiritual dimension of our existence, if we remain tied only to the material and external aspects of society, we will be unable to sustain the “ricochet of mutual recognition” and our movements will, as they have, succumb to inertia, pessimism, cynicism, and a loss of their redemptive and transformative spirit. There is ample historical evidence for Gabel’s point. We need only look at the model of the Russian Revolution, from its dynamic and creative beginning, in 1917, with art, poetry, theater, feminism stimulated by revolutionary élan, succumbing to the suffocating stranglehold of Stalinism. The same can be seen in the Chinese revolution, ending with the oppressiveness of the Cultural Revolution. The economic struggle was not enough. As each of these revolutions faced external challenges, the mutuality of presence that had been there in the beginning gave way to the alienated status quo of authoritarian control, with its attendant fear of the other. Gabel challenges us to transform ourselves. He challenges us to understand our own internal contradictions between desire and fear, to confront our own false selves. He challenges us, even in the degrading midst of a Trumpist world, not to lose confidence in our abilities to create alternative social spaces that negate the apparent reality of “what is.” And finally, he challenges us to evoke and live to the best of our abilities in our vision of the world to which we aspire, to avoid anger filled “us vs. them” discourse and dehumanization of others struggling with us, lest we “flatten out” the world we want to create. How we behave, Gabel says, toward ourselves, toward others in our lives, in our movement, as well as toward those who may oppose us, is as critical, may be more critical, to social transformation as the goal we are trying to achieve. I hope that The Desire for Mutual Recognition, is carried around in the backpacks of DSAers, that it will be promoted, read and discussed by this newer generation of activists, (and by the older generation as well!) , because this book can help activists consciously understand what it means to be a part of a movement. This book can provide insights about the transformative changes they are realizing and experiencing, and hopefully, help them avoid the demoralizing effects the legacy of fear can have in undermining social movements. In these times dominated by small mindedness, fear, racism, chauvinism, injustice and inequality, Peter Gabel’s book provides an inspiring reminder that while the current situation may be real, it is not inevitable, and that social transformation is possible. Higher education has historically been a bulwark against authoritarianism — or its pawn. What’ll it be this time? Sept 02, 2018 – In recent years, several countries across the world have been overtaken by a certain kind of far-right nationalism; the list includes Russia, Hungary, Poland, India, Turkey, and the United States. The task of generalizing about such phenomena is always vexing. But such generalization is necessary now, when patterns have emerged that suggest the resurgence of fascist politics globally. Increasingly, attacks on universities and conflicts over their policies are a symptom of this phenomenon. I use the label "fascism" to describe any ultranationalism — ethnic, religious, or cultural — in which the nation is represented by an authoritarian leader who claims to speak for the people. As Donald J. Trump declared in his Republican National Convention speech in July 2016, "I am your voice." In particular, my interest is in fascist politics as a mechanism to achieve power. Once those who employ such tactics come to power, the regimes they enact are in large part determined by particular historical conditions. What occurred in Germany was different from what occurred in Italy. Fascist politics does not necessarily lead to an explicitly fascist state, but it is dangerous nonetheless. Honest politics needs intelligent debate. One of the clearest signs of fascist politics, then, is attacks on universities and expertise — the support systems of discussion and the sources of knowledge and facts. Intelligent debate is impossible without access to different perspectives, a respect for expertise when one’s own knowledge gives out, and a rich enough language to precisely describe reality. When education is undermined, only power and tribal identity remain. This does not mean that there is no role for universities in fascist politics. In fascist ideology, only one viewpoint is legitimate. Colleges are meant to introduce students to the dominant culture and its mythic past. Education therefore either poses a grave threat to fascism or becomes a pillar of support for the mythical nation. It’s no wonder, then, that cultural clashes on campuses represent a true political battleground and receive national attention. The stakes are high. For at least the past 50 years, universities have been the epicenter of protest against injustice and authoritarian overreach. Consider, for example, their unique role in the antiwar movement of the 1960s. Where speech is a right, propagandists cannot attack dissent head-on; instead they must represent it as something violent and oppressive (a protest therefore becomes a "riot"). In 2015 the Black Lives Matter movement spread to university campuses. Given that Black Lives Matter gained strength after Michael Brown was killed in Ferguson, Mo., it is no surprise that the first campus it touched was the University of Missouri at Columbia. The Missouri student movement was named Concerned Student 1950, after the year in which the University of Missouri was desegregated. Among its aims was to address the incidents of racial abuse faced by black students on a regular basis, as well as to change curricula that represented culture and civilization as the product solely of white men. The media largely ignored those motivations, and, representing protesting black students as an angry mob, used the situation as an opportunity to foment rage against the supposed liberal excesses of the university. Fascist politics seeks to undermine the credibility of institutions that harbor independent voices of dissent. One typical method is to level accusations of hypocrisy. Right now, a contemporary right-wing campaign is charging universities with hypocrisy on the issue of free speech. Universities, it says, claim to hold free speech in the highest regard but suppress any voices that don’t lean left. Critics of campus social-justice movements have found an effective method of turning themselves into the victims of protest. They contend that protesters mean to deny them their own free speech. These accusations also extend into the classroom. David Horowitz is a far-right activist who has been targeting universities since the 1980s. In 2006 he published a book, The Professors, naming the "101 most dangerous professors in America," a list of leftist and liberal professors, many of whom were supporters of Palestinian rights. In 2009 he published another book, One Party Classroom, with a list of the "150 most dangerous courses in America." In fascist politics, universities are debased in public discourse, and academics are undermined as legitimate sources of knowledge and expertise. Horowitz has started numerous organizations to promote his ideas. In the 1990s, he created the Individual Rights Foundation, which, according to the conservative Young America’s Foundation, "led the battle against speech codes on college campuses." In 1992 he founded the monthly tabloid Heterodoxy, which, according to the Southern Poverty Law Center, "targeted university students whom Horowitz viewed as being indoctrinated by the entrenched Left in American academia." Horowitz is also responsible for Students for Academic Freedom, which was called the Campaign for Fairness and Inclusion in Higher Education when it was introduced in 2003. The goal of Students for Academic Freedom is to promote the hiring of professors with conservative worldviews, an effort marketed as promoting "intellectual diversity and academic freedom at America’s colleges and universities," according to Young America’s Foundation. Some will argue that a university must have representatives of all positions. Such an argument suggests that being justified in our own positions requires regularly grappling with opposing ones (and that there was no room for those views in the first place). Anyone who has taught philosophy knows that it is often useful to confront cogent defenses of opposing positions, and universities unquestionably benefit from intelligent and sophisticated proponents of positions along the political spectrum. Nevertheless, the general principle, upon reflection, is not particularly plausible. No one thinks that the demands of free inquiry require adding researchers to university faculties who seek to demonstrate that the earth is flat. Similarly, I can safely and justifiably reject ISIS ideology without having to confront its advocates in the classroom or faculty lounge. I do not need to have a colleague who defends the view that Jewish people are genetically predisposed to greed in order to justifiably reject such anti-Semitic nonsense. Nor is it even remotely plausible that bringing such voices to campus would aid arguments against such toxic ideologies. More likely, it would undermine intelligent debate by leading to breakdowns of communication and shouting matches. Universities should supply the intellectual tools to allow an understanding of all perspectives. But the best way to achieve that is to hire the most academically qualified professors. No method of adjudicating academic quality will be free from controversy. But trying to evade that difficulty by forcing universities to hire representatives of every ideological position is a particularly implausible fix, one that can perhaps be justified only by a widespread conspiracy theory about academic standards being hijacked by, say, a supposed epidemic of "political correctness." For decades, Horowitz was a fringe figure. Now his tactics and aims, and even his rhetoric, have moved into the mainstream, where attacks on "political correctness" on campuses have become commonplace. Jesse Panuccio, acting U.S. associate attorney general, began his remarks at Northwestern University in January by declaring campus free speech "a vitally important topic, and, as you are probably aware, one that Attorney General Sessions has made a priority for the Department of Justice. It is a priority because, in our view, many campuses across the country are failing to protect and promote free speech." Since then the Department of Justice has filed suits against universities for their alleged failure to protect the free-speech rights of right-wing speakers. Top officials, including the attorney general and the secretary of education, have appeared as featured speakers at a Turning Point USA conference, an organization that keeps "watch lists" of supposedly dangerous leftist professors, hardly a hallmark of free-speech advocacy. Over the last several weeks, the Trump Administration has ramped up its ethnic cleansing campaign aimed at the forced removal of more than 11 million undocumented workers in the US. While the overwhelming majority of this population is Mexican@, it also includes significant numbers of Centro American@s, Asian, and African peoples. It even includes about 500,000 undocumented European immigrants. But what especially outraged the souls of most people in the US and the world is the humanitarian crisis caused by the kidnapping and incarceration of 3000 children from Latin@ families seeking refugee asylum, fleeing the danger of criminal violence or domestic violence. Jeff Sessions, the outrageously racist US Attorney General, has instructed the Immigration and Customs Enforcement (ICE) to no longer honor asylum requests based on such violence. With no planning, children ended up in holding centers on the other side of the country sometimes in dog-kennel like facilities, where no one spoke their language (many spoke indigenous languages) or, in the case of babies, they could not talk at all, only cry. There was no plan as to how to re-match these children with parents after the indefinite incarceration period as if that was not important. After several months of separation, a federal court ordered the Administration to restore the children to their families post haste. But even after the July 10 deadline for children under 5, many are still misplaced, or their parents already deported. Trump’s avowed aim with this cruel policy was to discourage Latin@s from seeking refuge in the US. This is state political terror: threatening to harm a child if the adult does not cooperate. The imprisoned children are held hostage to Trump’s demands for a border wall, greater militarization of the border, and massive reduction of legal immigration. The Party of Christian and “family values,” like the slave owners of the past, do not believe non-white families are fully human. These horrendous violations of human rights have inspired broad and sustained resistance throughout the US., spearheaded by Chican@-Mexican@s and Latin@s, but including a broad cross-section of the US population, from Black Lives Matter, to elected officials, to media personalities, to labor unions, Indigenous networks, and even the Prime Minister of Canada, who has said that Canada would accept these refugees. Literally, thousands of resistance actions have taken place throughout the US since the kidnapping began. But while this is just the most egregious of immigration policies, and while xenophobia has found open expression and action in Trump’s administration, the detention and deportation of immigrants, often causing family separation, is not new. The Left must fight for an end not just to the kidnapping of children, but all of the injustices embedded in our immigration and refugee policies. At bottom, it is a fight against hatred, fear, and selfishness. We will win through unity, courage, and acting on our knowledge that an injury to one is an injury to all. Will t he ongoing revival of American socialism stimulate interest in one of its lesser known antecedents? Verso Books certainly hopes so. That’s why they’ve reissued Max Elbaum’s Revolution in the Air, originally published in 2002, now with a new foreword by Alicia Garza, co-founder of #BlackLivesMatter. The book chronicles the history of the US “new communist movement” (NCM) from the late 1960s through the 1980s, when thousands of young activists, radicalized by the Vietnam War, the Chinese Cultural Revolution and liberation movements in communities of color at home and abroad, embraced Marxism-Leninism and committed themselves to changing the world. When Revolution in the Air was written, George W. Bush was President and 9/11 and the “war on terror” were still in the future. The American left was in disarray and on the defensive. Behind it were a long series of defeats – the neo-liberal transformations inaugurated by Reagan and Thatcher, the collapse of the Soviet Union and its allied regimes, China and Vietnam’s increasing adoption of capitalist forms of economic development, the retreat of liberation movements across the Third World. The greatest strength of Revolution in the Air is its compelling chronological narrative of the origins, rise and proliferation of various NCM groups and their subsequent crises and decline. Elbaum carefully tracks the arc of NCM history from the initial burst of energy that birthed the first organizations, to the stillborn unity initiatives of the early 1970s, to the growing difficulties and splits of the mid- and late-1970s, to the decline/collapse of many groups and the movement as a whole in the 1980s. But Elbaum is alert to the movement’s weaknesses as well – its ultra-leftism, dogmatism and sectarianism – and its fragility. The NCM was continuously buffeted by centripetal and centrifugal tendencies. Organizations sought to come together in unifying party-building initiatives and were driven apart by numerous political and ideological differences, with many smaller groups resisting the pull of both dynamics. Of necessity in a book of this length, the focus is on the major NCM formations and their initiatives. However, something of the genuine breadth and diversity of the movement as a whole is lost in the absence of more attention to the less well known, out-of-the-way groups. The NCM preached the importance of building multi-national organizations. Yet for much of its history, groups of white communists and communists of color evolved on separate but parallel tracks – the first primarily emerging out of student, anti-war and anti-draft movements; the second out of liberation movements in the Black, Chicano, Puerto Rican and Asian American communities. The very different origins of the movement’s two components had profound repercussions for their long-term prospects. Every serious group, no matter how small, considered itself a new communist party in embryo (or at least a part thereof). Hence the need to formulate positions on all important issues. But the more issues a group had a position on, the more opportunities existed for differences and disagreements to arise over them – internally, in relation to other groups, and in relation to the “advanced” they were trying to recruit. Elbaum puts much of the blame for the resulting disputatiousness on the NCM’s Maoism but this is a problem that has plagued every branch of the communist movement, as anyone familiar with the fissiparous history of Trotskyism can attest. The early NCM groups strongly identified with the Chinese revolution and the Chinese Communist Party (CPC), just as the first communist parties at the dawn of the twentieth century had strongly identified with the Bolshevik revolution and the new Soviet state – and for the same reasons. The Chinese line seemed to offer the best chance of defeating imperialism and promoting world revolution, and China’s prestige and attractiveness to revolutionaries worldwide was expected to rub off on its American supporters. What began as debate soon became a crisis, manifesting itself in different ways in different organizations. One of the largest groups – the Revolutionary Communist Party (RCP) – underwent a debilitating split. Other groups, forsaking the CPC, looked for an alternative leading center for the world communist movement. When China and Albania had a falling out, some found it in Tirana. Still others, identified as “anti-dogmatist/anti-revisionists,” seized on the crisis to challenge the NCM to rethink its basic allegiances and its theoretical foundations. Line of March, Elbaum’s own former group, progressively abandoned its anti-revisionist identity and moved toward openly pro-Soviet positions. Other organizations, like the Communist Party (Marxist-Leninist) (CPML), remained loyal to China and tried to carry on as if no crisis existed. These twin crises hit the predominantly white NCM organizations harder than those groups composed primarily of people of color. As noted earlier, white communists in the main came out of the student, anti-war, and anti-draft struggles. These were all conjunctural struggles, born of a particular moment in history and largely disappearing once that moment had passed. By the late 1970s the two main predominantly white groups – the CPML and the RCP – were feeling the combined effects of the melting away of the mass base from which they had emerged and their lack of real successes in building a new one in the working class. April 20, 2018 -For a manifesto to succeed, it must speak to our hearts like a poem while infecting the mind with images and ideas that are dazzlingly new. It needs to open our eyes to the true causes of the bewildering, disturbing, exciting changes occurring around us, exposing the possibilities with which our current reality is pregnant. It should make us feel hopelessly inadequate for not having recognised these truths ourselves, and it must lift the curtain on the unsettling realisation that we have been acting as petty accomplices, reproducing a dead-end past. Lastly, it needs to have the power of a Beethoven symphony, urging us to become agents of a future that ends unnecessary mass suffering and to inspire humanity to realise its potential for authentic freedom. It’s a standard assumption in the West: As a society progresses, it eventually becomes a capitalist, multi-party democracy. Right? Eric X. Li, a Chinese investor and political scientist, begs to differ. In this provocative, boundary-pushing talk, he asks his audience to consider that there’s more than one way to run a successful modern nation. A rising public intellectual, Eric X Li argues that the universality claim of Western democratic systems is going to be “morally challenged” by China. April 8, 2013 – The Frankfurt school came together and developed its theories in a world left shattered by the first world war. The Weimar Republic was essentially a shell-shocked society in which many of the old certainties had been smashed to pieces. Worse than that, nothing had arisen from the ruins to give anyone any hope for the future. As liberal democracy failed and Weimar spiralled down into Nazism, this school of almost entirely Jewish-Marxist intellectuals were forced to flee a country which had turned against them for reasons of both race and politics. One of their most cherished members, Walter Benjamin, killed himself in 1940 on the French-Spanish border, an act which threw many of the remaining members into even greater depression. 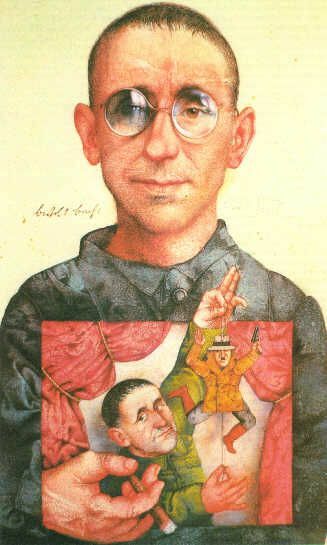 Changing their country more often than they changed their shoes, as Bertolt Brecht put it, they ended up in the US during the Hitler years and although this was a refuge for them, it was not a society they felt had anything to offer humanity. Ernst Bloch described the US as "a cul-de-sac lit by neon lights" – almost a template for a David Lynch film – and they felt that a society obligated to the pursuit of individualised happiness was the epitome of a world of shallow and inauthentic surfaces and insincerity. In one of the most famous aphorisms from Minima Moralia, published in 1951, philosopher Theodor W Adorno says that it is not possible to live a true life in a false system. Most important in this context, the thinkers of the Frankfurt school did not draw a great distinction between various forms of capitalism, be they consumerist democracies or fascist dictatorships. Although the surface appearance of oppressive mechanisms were obviously different, for them, the underlying rule of capital was the same. 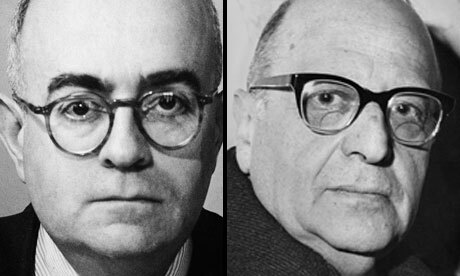 Dialectic of Enlightenment, perhaps the central text of the Frankfurt school, was written by Adorno and Max Horkheimer during these years in exile. It arrives at a pessimistic view of what can be done against a false system which, through the "culture industry", constantly creates a false consciousness about the world around us based on myths and distortions deliberately spread in order to benefit the ruling class. Sylvia H. Thompson, who spent her life fighting for the poor and oppressed and championing the legacy of the veterans of the Abraham Lincoln Brigade, died of cancer in December in New York City. Thompson was born Sylvia Bernard in 1924 in San Antonio, Texas. As a young woman, she joined the Communist Party and helped launch the Civil Rights Congress in Texas. In 1947, she traveled to North Carolina where she spent more than a year organizing electrical workers to join the union. It was there that she met her first husband, Sam Hall, a district organizer for the Party. The young couple moved to Birmingham, Alabama where, as open communists, they endured constant surveillance, threats and break-ins. After Hall’s death, Sylvia moved to New York City where she went to work for the state Party office and met her second husband, Robert G. Thompson in late 1957. Bob Thompson had been a battalion commander with the Lincoln Brigade in Spain, and went on to receive one of the highest medals for valor – the Distinguished Service Cross – for his heroic actions in the Pacific Theater in World War II. When he died in 1965, Sylvia sought and received permission from the Army to have his ashes interred in Arlington National Cemetery. However, when publicity about Bob’s previous imprisonment as a Smith Act defendant surfaced, the Army reversed itself and denied the widow’s request. Sylvia took the matter to court as well as to the American people, coordinating a campaign to expose the Army’s shameful actions. In 1968, a federal appeals court ordered the Army to inter Bob Thompson’s ashes. 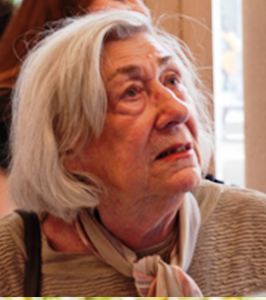 In subsequent years, Sylvia became a mainstay in the New York office of the Veterans of the Abraham Lincoln Brigade, working with veterans and organizing the annual reunions.